Toyota of Tampa Bay knows that not everyone has great credit. That’s why we’ve created the Toyota of Tampa Bay’s Loyalty Program. We’ll work with you to get the car you want, no matter what your financial situation may be. At Toyota of Tampa Bay, we do everything we can to help you find the right loan that fits your budget. That’s because we’re committed to financing your future, not your past! 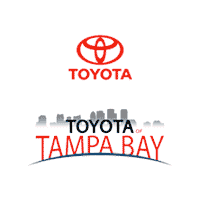 Visit Toyota of Tampa Bay today and learn more about the Toyota of Tampa Bay’s Loyalty Program. Are you currently working on rebuilding your credit? This program can help you lower your interest rates and payments — helping you take charge of your financial future! By making 12 consecutive payments on an existing vehicle, you can take the first steps in rebuilding your credit. This program helps customers with less than stellar credit financial incentives if they have paid at least 12 consecutive payments on an existing vehicle. Toyota of Tampa Bay wants to recognize the hard work and dedication that it takes to graduate from a four-year university. That’s why we are giving recent college grads rebates on brand new Toyotas. Start the next chapter of your life in style with a new Toyota from Toyota of Tampa Bay. Hurry into Toyota of Tampa Bay and learn how you can drive off our lot with the car you’ve always wanted.